This river is one of the smaller tributaries of the Sun Kosi and is a lovely tight boulder strewn river with crystal clear water, The river rises on the southern slopes of a mountain called “Dorje Lakpa”, at 6990 metres high. You will enjoy nice continuous white water with class 3 and 4 rapids all the way down to the confluence of the Lower Bhote Kosi River. Paddle the Balephi Khola river taking in stunning views of Mt Everest on a clear day. The Balephi Khola is one of the smaller tributaries of the Sun Kosi and is a lovely tight boulder strewn river with crystal clear water. We will paddle this lovely jewel of a river down into the Lower Bhote Kosi. Take out after fantastic days paddling and drive back to Kathmandu in a private bus approximately 3 and half hrs. This is the easiest of our moderate level lodge and tented trekking adventures and may involve walking for up to 6 to 7 hours per day. Maximum altitude is 3,000 metres and as the trek involves three days walking a total of approximately 45km a good level of fitness is required. The first day is a big day and we hope to cover a good distance on gently ascending and level hilly terrain on well-defined trails. On the second day, we start descending on well-defined trails that are steep and rocky in places. The last day is a half day trek covering approximately 8 kilometres over mostly descending, somewhat steeply in places, on well-defined trails. 4 nights’ accommodation in Kathmandu two night before the lower Bhote Kosi and Balephi and one night when we get back from balephi and one night after river trip. If you need to book extra nights out of the package please clarify that to ADVENTURE HUB NEPAL. Nepalese visa (this cosst US$65 for 30 days and you need two passport photos) this can be issued on arrival in Kathmandu. 7th, April : Spend the day fitting your boats and getting ready for our multi-day adventure. Spend the day fitting your boats, getting them to your liking and getting ready for our multiday trip journey! In the afternoon, approximately 5 to 6 PM we will hold our pre-departure meeting. 8th, April : Warm up paddle and get used to our boat and drive to Lower Bhote Kosi River for paddle. After breakfast we will take you to our bus from your hotel which is five or ten minutes and we will put all the bags in the bus. We will drive approximately 2 and a half hrs to the lower Bhote Kosi River. 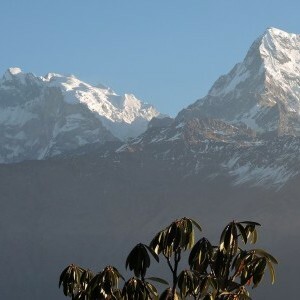 On a clear day, you will get magnificent views of the Everest Mountain Range. Paddle beautiful class 2- 3 whitewater. We will have lunch along the way, camp on the river bank or stay in resort. 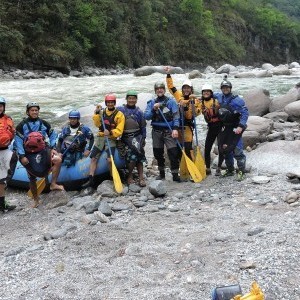 9th, April : Paddle Balephi Khola down to Lower Bhote Kosi confluence. Paddle the Baleph Khola river taking in stunning views of Dorje Himal if there is not too much cloud cover. The Balephi Khola is one of the smaller tributaries of the Sun Kosi and is a lovely tight boulder strewn river with crystal clear water. We will paddle this lovely jewel of a river down into the Lower Bhote Kosi River. After a fantastic days paddling we drive back to Kathmandu in private bus approximately 3 and half hrs. Relax in hotel and have a nice hot shower go for dinner and get packed up for our trek to Dhovan. We will have breakfast and go to the domestic airport for our flight to Biratnagar. Flight time approximately 35 minutes. 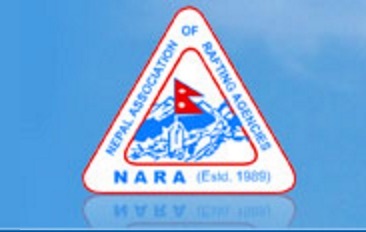 Your expedition trip leader will meet you in the airport in Biratnagar with all the paddling gear on the bus for the drive to Basantapur driving hours approximately 5 hrs. Overnight stay in Basantapur. Stay in tea huts overnight. It’s a full day today, expect to walk for 6-7 hours gradually gaining height and then leveling out - you will reach the top of the ridge at 2,980 meters – expect to cover approximately 26km today. Today you will continue trekking along the ridge through picturesque rhododendron forest and enjoy the spectacular views. The path winds gently up and down through ancient moss-covered trees. We then start to descend – steeply in places - and after approximately 5 to 6 hours we will arrive at our overnight stop. Set up camp near the village of Gorja (2,010m) – expect to cover approximately 11km today. Trek for approximately 4 hours or so (approximately 9km) down to Dobhan (640m) which is the starting point of the whitewater kayaking & rafting on the Tamur River. Pump up the rafts and get everything ready for the whitewater trip starting next day, Relax and camp overnight on the riverside beach. The volume of the Tamur in November is around 5,250cfs (150 cumecs). We will paddle approximately 115km to the confluence with the Sun Kosi River and then a further 15km to the take-out at Chatra (100m) – approximately 130km (82 miles) in total. 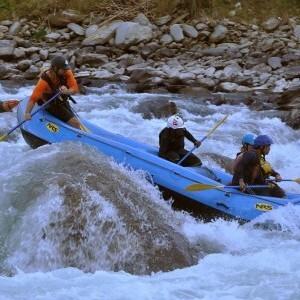 The last day of whitewater rafting on the Tamur will take you down to the confluence of the Tamur and Sun Kosi Rivers. Over 30 rapids of fun class 3 and 4 white-water makes this a fantastic day of paddling. Camp at the confluence of the Tamur and Sun Kosi Rivers. 19th, April: Paddle down to the take-out of the Sun Kosi and Tamur river at Chatra. Paddle down to the take-out of the Sun Kosi and Tamur river at Chatra stopping along the way at the Bharah temple. Lunch in Chatra and around 2pm we will start our overnight bus trip back to Kathmandu approximately 15 to 17 hours arriving in Kathmandu at approximately 7am the following morning. Note:There is the option to take a 35-minute flight back to Kathmandu from Biratnager at the end of the river trip. If you decide to fly this will an add an extra night in the hotel on your package. If you fly we can organize flight ticket and extra night hotel cost with it. The total of flight and 1 night’s extra accommodation and will cost around $US 185 to $US 200 (additional cost) If you fly dinner not included. You will be dropped off at your hotel, enjoy a nice hot shower and spend the rest of the day relaxing or shopping in Kathmandu. There will be a celebration dinner in the evening with all team from your trip! Stay overnight in hotel. Although the culture of tipping may not be part or your own culture, it is nonetheless part of the culture in this area of world and it is often the way some people supplement their earnings. Tipping has also become an accepted part of tourism culture in the region. On our trips, your trip leader can advise you on this matter, however as a guideline we would recommend a tip of 5-8%. If the service has been satisfactory, a tip is always appreciated with ……with a smile! To protect you from the sometimes seemingly endless soliciting of tips, we suggest you discuss with your trip leader about setting up a tipping kitty whereby everybody contributes an equal amount (this amount can vary from trip to trip, but a good approximate is US $6 per person per day) your trip leader then distributes tips along the way to local guides, and porters, etc. and keeps a record of all money spent. Please note that this kitty is not designed to provide a tip for your leader.